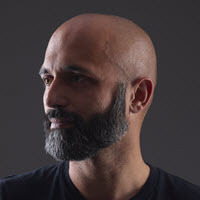 Thanks to Sreekar Devatha, Gopinath Taget & Jeremy Tammik (from DevTech India, Americas and Europe, respectively) for contributing to my knowledge in this area over the last few months (whether they knew they were doing so, or not :-). 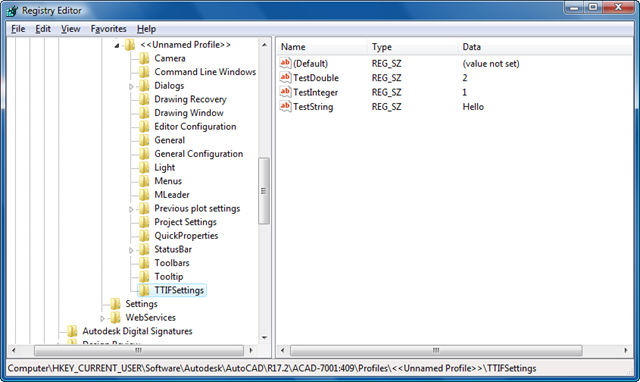 This post shows how to make use of a handy interface inside AutoCAD to place custom settings in the Registry and how to then read them back. The code is very simple: you simply open up the current profile and then access/modify your hierarchy of setting beneath it. 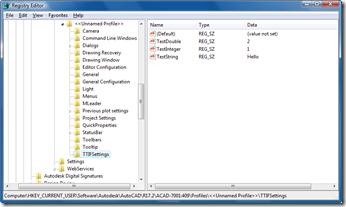 I've used a Registered Developer Symbol (RDS) to prefix the section of the Registry directly beneath the profile, to avoid conflicts with other applications. There are other ways of saving more complex settings to the Registry: in a future post I'll go more in-depth with the System.Configuration namespace (especially how to implement your own System.Configuration.ConfigurationSettings class and save it to the Registry). // for the section name. // The entries beneath don't need this.